A simple knock or something more significant can result in obvious damage and / or invisible damage under the surface of teeth. Sometimes a white filling (composite build up) can work, if more significant damage is done further investigations and treatment may be required. The sooner you are seen by the dentist after a trauma the better the outcome for your teeth and for you. If a tooth is knocked out it needs to be re-implanted within 60 minutes and kept wet for that time (milk is a good liquid to keep it in). 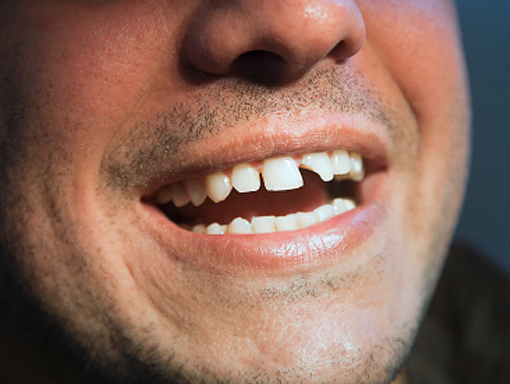 Never re-implant a baby tooth, as you may damage the adult tooth developing underneath the gum.